Solo Matter by Carolyn Bolton opens Mbulelo Ndabeni N’da Dance Company’s first ever evening of work, ‘paying homage to women’, at Rich Mix. Ndabeni is already on stage as the audience walk in, sitting on a grey bench with his back to us, his lithe body covered by a jumper with hood raised. He begins to saw at himself, convulsing his chest and spine, raising his arms behind his back in distorted shapes – a difficult watch. As Solo Matter continues, Ndabeni’s relationship with the bench develops from crouching behind it, head down, arms raised; to sliding beneath it, allowing it to cover him like a cage as he moves across the floor; to tipping the bench on its end and standing directly behind it as a barricade. The mood is tense. I am transported to past stories of friends being stopped and searched unnecessarily at bus stops, of having to do what they’re told despite knowing the injustice of what’s happening. Bolton takes a poignant and complex topic, and articulates the loneliness of those experiences through Ndabeni’s artistry. NaY – Nam and You is the highlight of the evening. The all-female Yemalla drummers are exceptional, creating energy through polyrhythms that translate the spirit of their ancestors. Ndabeni’s body is drawn in to respond through curves and pulses of the spine, sweeping legs high with flexed feet scooping energy from the ground, jumping into the air before beating patterns into the earth with his heels. This playful exchange melts away as the Yemalla leave the stage one by one. NaY connects with home away from home, living and tracing Ndabeni’s roots and relationships with his elders. The atmosphere shifts as he prowls downstage and begins to cover his face and hands in white paint. From here on, we see the skill of Ndabeni’s body; from grounded Africanist aesthetic articulating each joint in isolation, building rhythms on rhythms; to contemporary/ballet movement language with tilts and precise lines. The conflicting styles work together and create surprise when one interrupts the other. In this way, Ndabeni builds to a frenetic energy – until a Yemalla drummer returns to the stage. Holding a large bowl, and without words or sound, she calls him to her, gently washing his skin, watching the paint fade away as he buries his face in her skirt. In this moment, I was brought to tears. N’da Dance Company, NaY Triple Bill. Photo by JetBlakInk. The final piece iBali is a duet between Ndabeni and Yinka Esi Graves, a British flamenco dancer, which examines transformation of identity looking ahead to the future. 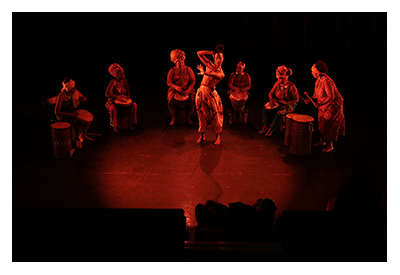 The programme also includes performances by Artistry Youth Dance aged 14-19 years; as well as the incredible AkomaAsa drummers aged 6-16 years, with whom Ndabeni works with through his varied education programmes. 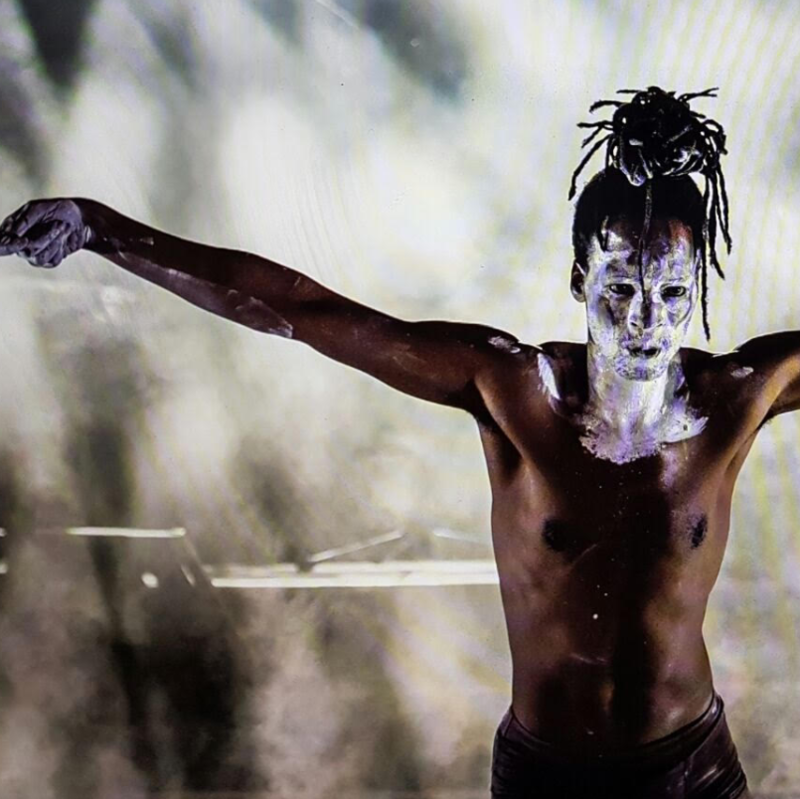 Ndabeni is unique in his mastery of both balletic and Africanist movement language and is by far the most mesmerising contemporary performer I have seen this year. 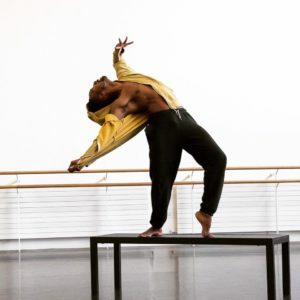 Though he is perhaps early on in his choreographic journey, with a few tweaks to be made I would expect his work will soon be on larger stages – sharing a much-needed alternative narrative to Eurocentric practices.